In researching my book, Ordnance, I found how the allies had been preparing for a German offensive on the western front since the time when the Russian Revolution resulted in their armies withdrawing from the eastern front. Divisions were brought back from Palestine and Italy amongst others. American had come under pressure to commit before she was really ready. The challenge for Ordnance was threefold. 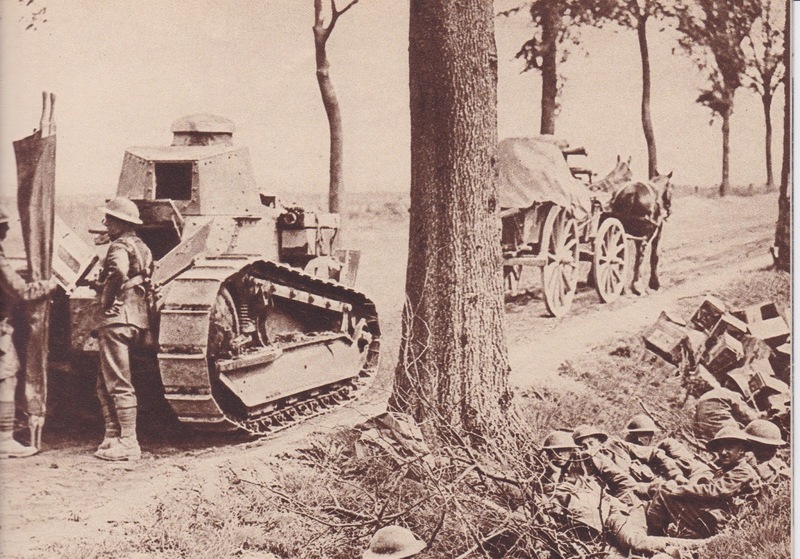 To salvage what equipment and ammunition they could in the face of the German advance. To set up mobile repair workshops to maintain guns in the retreat and to ensure that the retreating troops were as fully equipped as possible for defence and counterattack. I was fortunate in finding wonderful first hand accounts of quite incredible work done under fire and under pressure. Four years of trench warfare had resulted in mobile workshops taking root; also, supplies had accumulated close to the front. All this made the retreat more difficult and much had to be left behind. The British, though, were retreating toward their base depots which eased re-supply and over ground which had not been turned into a mud bath by years of war. The Germans advanced into and were seriously held up by that same mud bath. 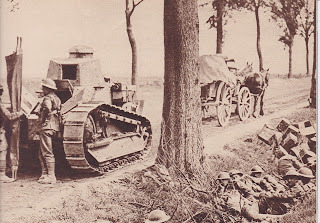 Some witnessed the first appearance of the light Whippet Tank and, not having been previously informed, assumed it was German.